The new calendar year means an opportunity for new beginnings. 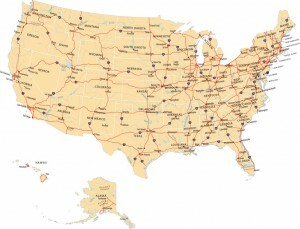 If one of your resolutions is to explore relocating to a new part of the country, CareerOneStop offers free online tools that can help you become informed and confident about the job market and resources in your new area. You can start by getting familiar with the general facts about your new state, then narrow in to focus on specific employers, and finally, connect with personal help to establish your new foundation. Learn about the state’s job market and the pool of workers already there. While it may sound dry, labor market information can help you get a clearer picture of your new job market. Check out these tools to learn which occupations in your new state are the Fastest-Growing, have the Most Openings, and those that have the overall Largest Employment numbers. Like many job seekers, you may want to know which fields are the Highest Paying in your new location. Also vital to know as you consider your options, check out which occupations have Declining Employment. Focus in on employers in your field, or get to know employers from different industries in a particular town or community. Use the Business Finder to learn about potential employers in your new location. The Business Finder searches a database of nearly 12 million U.S. businesses. You can search by your occupation to see businesses that typically hire workers in that field, or select an industry to view the specific businesses in your industry there. You could even use the contact information you find to contact employers about potential job openings. You can conduct your job search in advance from your current location by using the Job Finder, which updates daily with the newest openings from three distinct job banks. The same career can pay differently in a new state. To help gauge your potential earnings, and estimate the salary requirements to request when you get a job offer in your new location, check out the Salary Finder. You can research typical wages in your new area at low, median, and high levels. For personal help, connect with the sources right there that keep a finger on the pulse of the local job market. Get help with insight and resources on the local job market from the local American Job Center, a source of free career and employment help from the U.S. Department of Labor. There are nearly 2,500 Centers nationwide, with locations in every state. Connect with a local Job Club that meets regularly to discuss job leads and job search strategies. Job Clubs typically have a good sense of who the key employers are, and their members can offer all kinds of information about your new location. Local libraries are a font of information, with an expert on resources ready to help, also known as the local librarian. You may be in a position to refresh your work skills or qualifications while you job search. Use the Local Training Finder to see what your new local community college or other training providers might offer. Most community colleges also have a career center with connections to local employers.